The Hampton Rovers senior committee and Board of Management recently approved the nomination of Alan Mackenzie for Life Membership. Alan’s nomination came about during a recent conversation with Life Member and Hall of Famer, Brian McNaughton, when Alan mentioned his only disappointment with his time with the Rovers was that he was not a Life Member. That prompted a check of the records and the club discovered that Alan joined the Rovers in 1961 when we only had Seniors (Hampton Rovers) and Under 19’s (Hampton Scouts). The Reserves were not introduced until 1964. Alan played 155 games, was captain of the Senior team in 1963 & 64, was Best & Fairest in 1963 and 1966 and a committee member for a number of years. He was very active in fundraising activities by arranging many social functions over a three or four year reign in charge of the social committee. The club had no social rooms in those days, so all fundraising activities had to be held away from the club rooms. Alan is a most worthy recipient of Hampton Rovers Life Membership and the club is delighted to officially honour his contribution over a lengthy period. 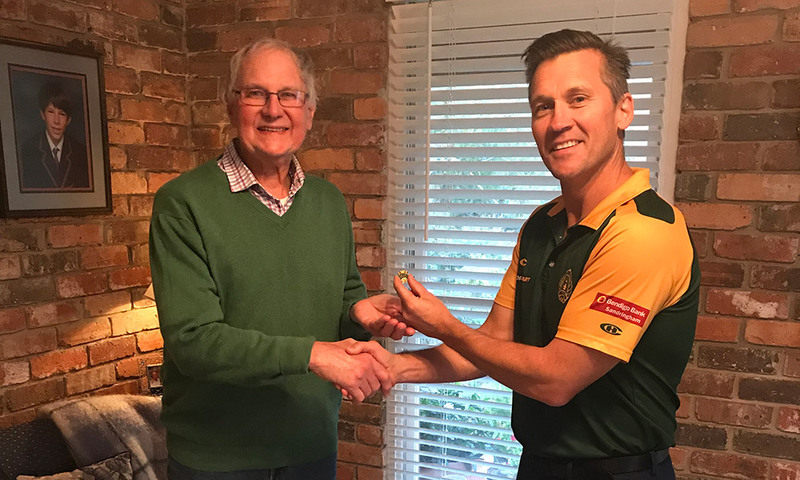 He was presented with his Life Membership back on March 13 by club chairman Steve Anderson with his family and fellow past players and life members in attendance. Unfortunately, Alan is battling health issues at the moment, and all at the Hampton Rovers Football Club wish him well in these tough times.